Synopsis: The staff of a Korean War field hospital use humor and hijinks to keep their sanity in the face of the horror of war. Did You Know? 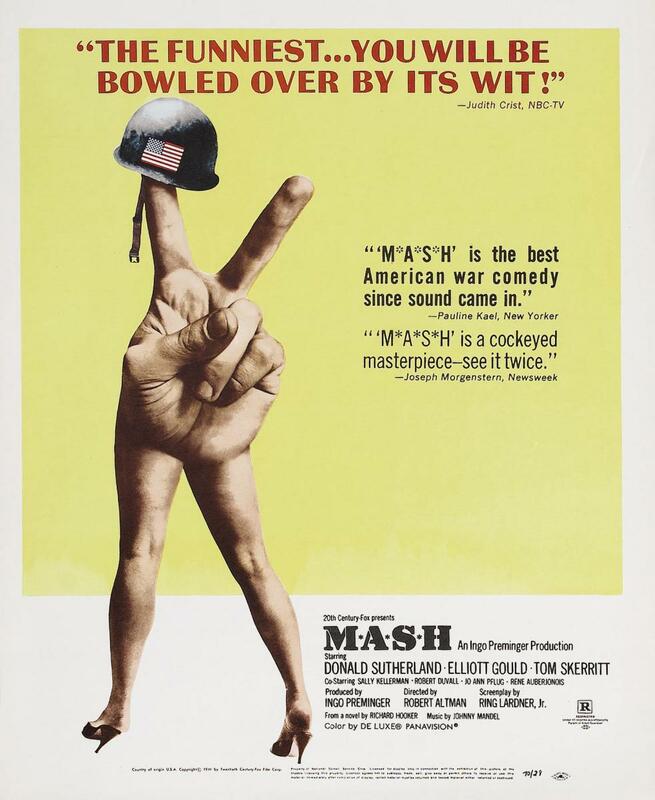 Robert Altman’s 14-year-old son, Mike Altman, wrote the lyric’s the film’s theme song “Suicide is Painless”. Because of its inclusion in the television series, Mike continued to receive residuals throughout its run and syndication. Robert Altman was paid $75,000 for his directing of the film, and his son received about $2,000,000 in song royalties. Sexism, homophobia, and racism. I don’t know why I was expecting anything different. The TV show is hilarious, but this is a catastrophe of setbacks. The women are objectified and sexually humiliated. Just when you think Major O’Houlihan is going to get justice for being exposed to the whole camp while she’s showering, they forget all about it, and she becomes the “blonde bimbo” cheerleader during the football game. Captain Waldowski decides to commit suicide, because he thinks he’s having “latent homosexual tendencies”, and (being the 1950’s) he’s ingrained to believe it’s an abomination. Instead of getting him the help he needs (which, to be fair, was probably not readily available during the Korean War), his unit ridicules him and even encourages his suicide. They give him a fake “black capsule”, and then persuade a nurse to sleep with him and “cure him of his problems”.